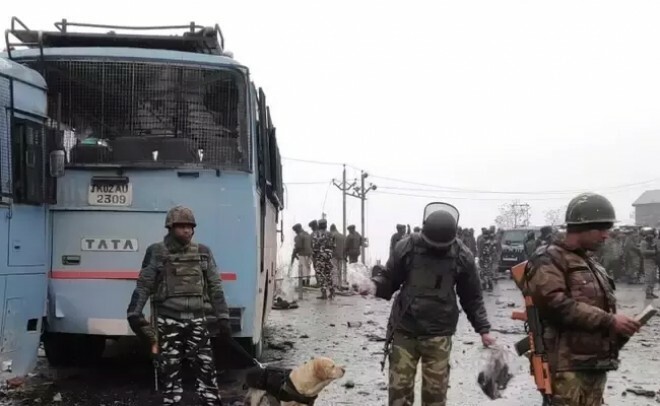 New Delhi, Feb 21: In the aftermath of the suicide bombing of a CRPF convoy traveling by road from Jammu to Srinagar, the Ministry of Home Affairs has approved the entitlement of air travel on Delhi-Srinagar, Srinagar-Delhi, Jammu-Srinagar and Srinagar-Jammu sectors to all the personnel of the Central Armed Paramilitary Forces (CAPFs). The decision will immediately benefit approximately 780,000 personnel of CAPFs in the ranks of Constable, Head Constable and ASI who were otherwise not eligible earlier. This includes a journey on duty and journey on leave, i.e; while going on leave from J&K to home and return. This facility is in addition to the existing air courier services for CAPFs that have been steadily extended in all sectors by the MHA to help the jawans cut down on travel time during their journey to and fro from home on leave. In the J&K Sector, it may be recalled that Air Courier Service for CAPFs jawans was approved for the Jammu-Srinagar-Jammu sector. Subsequently, the Service was extended to cover 1) Delhi-Jammu, 2) Jammu-Srinagar, 3) Srinagar-Jammu and 3) Jammu-Delhi sector in Dec 2017. The number of flights was further extended in Dec 2018. In addition, air support is provided from Indian Air Force as and when required. Further details awaited.